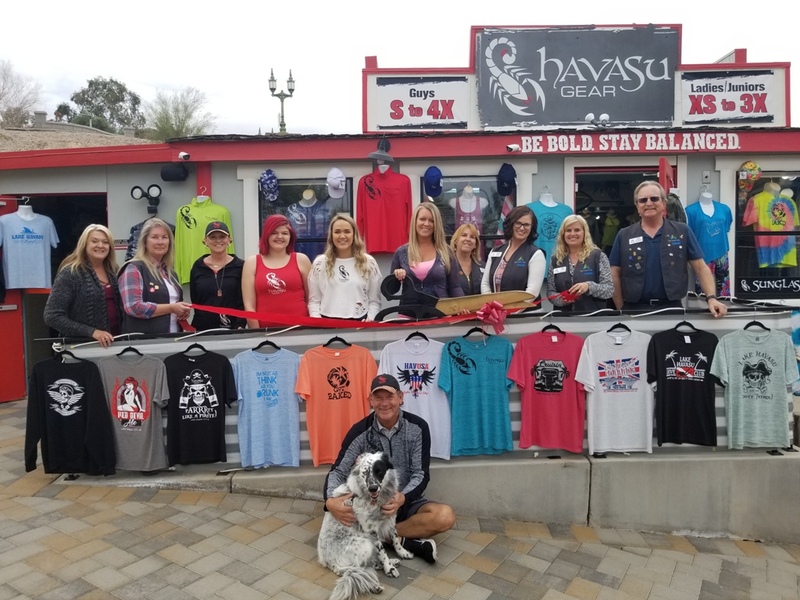 The Lake Havasu Area Chamber Ambassadors held a ribbon cutting ceremony for Havasu Gear - Lake Havasu’s Clothing Brand, located at 404 English Village, celebrating its remodel as part of the English Village renovation. 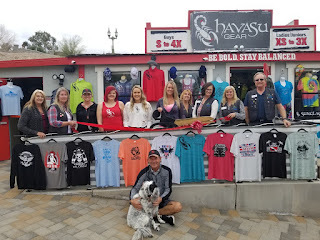 Clothing created and produced in Lake Havasu City. New designs delivered to the store daily. Open 7 days a week. Attending the ceremony from left to right top row were Lisa Krueger, Melissa Volquardsen, Joyce Anglin, Amber Sattler, Haylee Kobata, Wendy Moen, Janina Robertson, Ashley Bartosiewicz, Lisa Nowlin and Steve Bentley. Down in front Buckleh Reynolds and Pirate.